On Stardate 87751.8, Utopia Planitia Starfleet Yards will host the commissioning ceremony of the U.S.S. Europa. 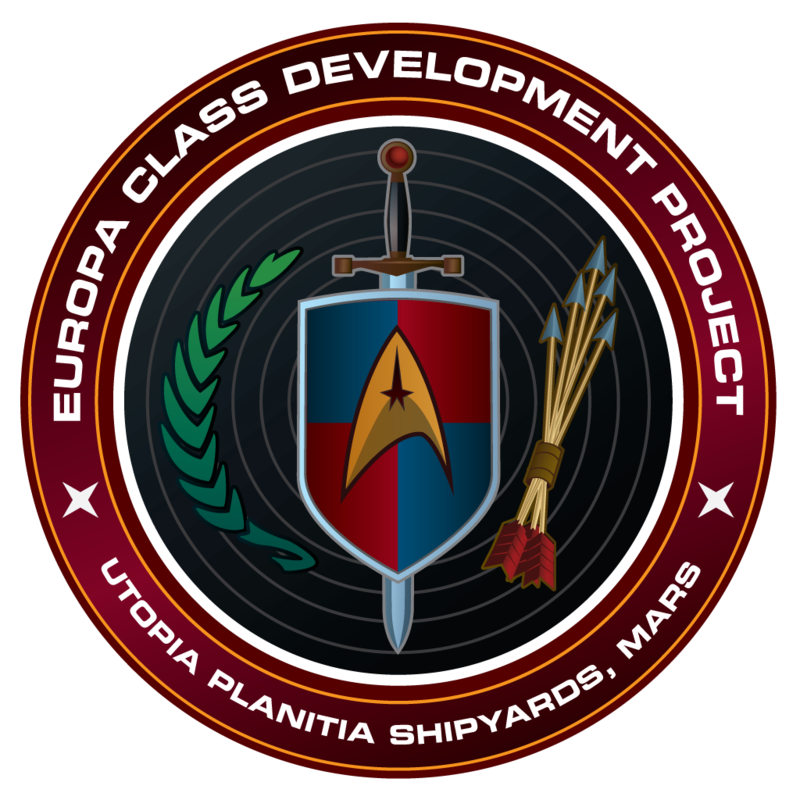 The Europa is the brainchild of Advanced Starship Design Bureau (ASDB) Vice Admiral S.J. Hemphill, who has long advocated for experimental tactics and technologies when considering Starfleet’s defensive doctrine. Considering the recent spate of conflicts that Starfleet has had to weather, even those skeptical of her more radical concepts have come to appreciate the need for Starfleet to approach these types of problems creatively. The Europa’s primary mission is to be the vanguard capital ship for a division or flotilla. Its command and control systems are adequate for the sub-squadron level and can host a small flag officer staff, but analysts do not anticipate it to fill the flagship role too often. Its true purpose lies in its heavy weapons and over-engineered defensive systems, which are designed to distract and engage while allied ships harass the enemy until the threat is neutralized. A key technology that makes this role possible is the new Structural Integrity Field (SIF) Linkage system. The SIF Linkage system uses peculiarities of the Europa’s power grid to provide an EM resonance between allied starships’ SIF generators, allowing overload transfer between linked ships. The Europa has been built from the keel-out with redundant SIF generators and hull framing, and doctrine calls for the Europa to actually intercept high-intensity energy directed at allied ships, effectively becoming a “sump” for weapons fire directed at other allied ships in combat. In parallel with the SIF Linkage system, ASDB engineers have also added a variety of redundancies and design innovations to the ship’s damage control systems, which should facilitate fast repairs and expedited SIF field regeneration. All of this became possible when Admiral Hemphill seized on a remarkable opportunity. ASDB Engineer Ensign Elyos of Delta discovered that the long-lost “Yard 39,” a Starfleet construction and repair depot abandoned in the late 23rd century, was no longer flooded with deadly baryon radiation. Elyos and his colleague, Lieutenant Whetu of Earth, organized a small team of engineers to evaluate the spaceframes left there, and discovered a treasure trove of Starfleet’s storied past. Dozens of ships from the mid-23rd century were undergoing repair and refit when Yard 39 was hastily evacuated, and many of those ship classes fell out of favor in lieu of new construction. The chance to visit intact specimens of these ships, which include Shepard, Nimitz, Engle and more, has yielded a variety of discoveries relating to the unique power and warp systems of that era. It was the EPS and GNDN layout of the Nimitz-class specifically which inspired ASDB engineers to create the SIF Linkage system, and gave form to Admiral Hemphill’s vision for a heavy battlecruiser. Due to this, she chose to name the first ship of the class U.S.S. Europa in honor of the Nimitz-class ship destroyed during the Battle of the Binary Stars in 2256. 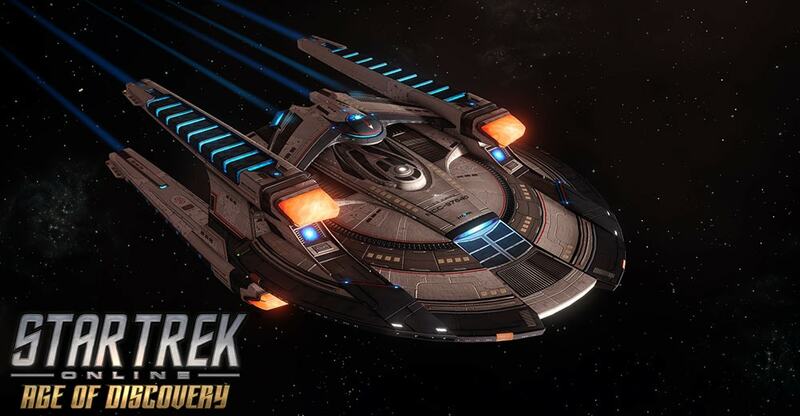 The commissioning ceremony of the U.S.S. Europa is closed to the public, but proceedings will be streamed live via H-SPAN Channel 47.3 on UFP-wide subspace bands.